BOCA RATON, FL, ESTADOS UNIDOS, March 14, 2018 /EINPresswire.com/ -- In the second half of the 17th century in Spain, a story of soul mates who suffer and fight against prejudice, social rules, and politics is a story of love and magic, tragedy and humor, dreams and reality. There’s mystery: a baffling otherworldly/alternative reality overtakes the main character....but he cannot discern if it's a dream, or it's really happening. There’s a love story for the ages that takes ages for the lovers to blissfully revel in their romance. There's humor: but I don't want to give that away!! It’s unexpected and so much fun. There are terrifying fistfights, gunfights, knife fights, fires, drownings, and illness. There are deaths and births. There are tears and laughter. There is spirituality, a great love of God and his gifts to us. There are Romany Gypsies: exotic, magical, mystical, musical, beautiful with lives that stay within their own community until that community is threatened. There are prejudices, hatred, jealousy, and distrust. There are politics and intrigue. There are social conventions, customs, and rules. There are bad “guys" who work to hurt and separate our lovers. There are good-bad "guys," men who aren't evil, but who haven't yet accepted the truths of their lives, and instead face those truths with anger, desperation, jealousy, hatred and other nasty traits. And yes, we see that if anger, hatred, jealousy and all those other nasty personality traits are that person's way of dealing with whatever life throws at him (or her), then it's simply going to come back. Yes, karma comes back. And this broad and deep story shows that reincarnation gives us all the opportunity to reset our karma. It's no secret that love trumps hate. It’s no secret that acceptance and forgiveness are the way to a beautiful, blessed life. And it’s no secret that a dream may be reality. Or that reality may be a dream. Which is which? 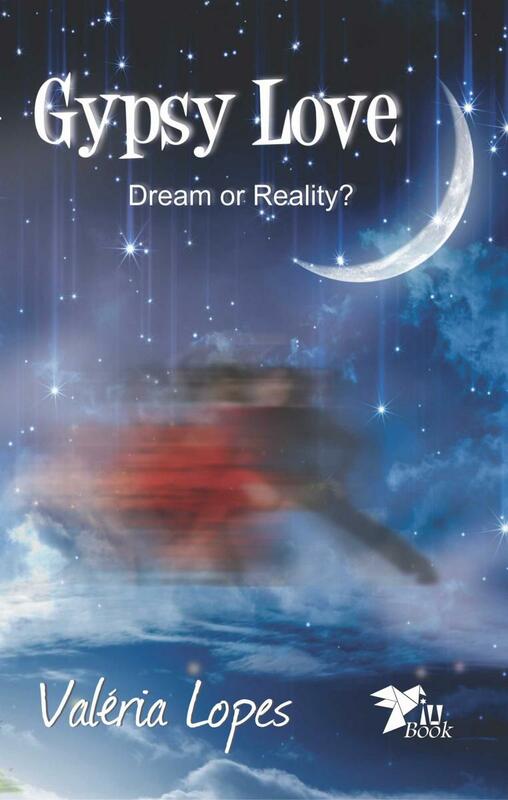 Gypsy Love: Dream or Reality was originally published in Brazil, in Portuguese by Valeria Lopes. The novel was channeled to Ms. Lopes by Spirit Guide Andorra Ms. Lopes is well-known in Brazil, and her books are beloved there. This is her first novel and her third novel published in English. Valéria Lopes was born in Rio de Janeiro, Brazil. With the help of her friends in the spiritual world, she developed her mediumship, learning how to use this gift to aid others. For more information, copies of Gypsy Love: Dream or Reality, information on author Valeria Lopes, Piu Book Editor-in-Chief/Publisher Rosana Lopes, please contact Amy Krakow, A.G. Krakow & Associates 212.587-0540 amyk@me.com. Named for songbird of Brazil, PiuBook publishes stories that touch hearts, inspire lives, and awaken consciousness to help create a better world for all. PiuBook is dedicated to presenting spiritual life lessons via thrilling tales set in faraway places and long-ago times. Founded by brother and sister Davi Brito and Rosana Lopes, who holds a Master's Degree in Systems Engineering, Ms. Lopes left her position as CIO at one of Brazil's largest investment banks to follow her heart. Inspired by her mother, Valéria Lopes, who had written a spiritual novel in 1998 that became a best seller throughout Brazil, and then a theatrical stage play in Fortaleza, Ms. Lopes wanted to bring the messages of her mother's works to a broader global audience.